Date Conversions are one of the most important part of an app development. It is also a tricky task for the developer as well, as database needs a different format and client need to be shown the date in some different format. Java IO have lot of high level and low level of readers and writers. Files can be read using both the input stream as well as output stream. Let us try to read the content from a file using FileReader. - A low level Reader for reading the data from the file. - Open a reader on the specified object. - Open a reader on the specified path. - Reads the ascii value of the character till the EOF(End of File) is reached. File f=new File("xyz.txt"); // Replace xyz.txt with your file path. IMPLICIT OBJECTS- JSP simplifier authoring & provides certain objects implicitly to be accessed within a JSP page without any explicit declaration. - These objects are called as implicit objects . - These objects are not declared explicitly but they are provided by Container during translation phase. - request object represents all the information about HttpRequest. - Scope:request scope.- Using this object we can access headers cookies ,etc. - response object represents response to the client. - Instance of : javax.servlet.http.HttpServletResponse. - out object represents output stream. - out objects are used for sending arguments to print methods. - session object is used to track client's information across the session. - application object represent the context for the JSP page. - application object is accessible to any object used within JSP page. - page refers to the instance of JSP implementation class, i.e the JSP itself. - accessed using 'this' reference. - pageContext encapsulates other implicit objects. - Refers to runtime exception that resulted in invoking the errorPage. - Available only in error page. - errorPage:- a JSP which has is errorPage attribute true in page directive. -Any piece of code written in scriplet goes into service() method. -Any complex or simple java code can be written in srciplet. -Scriplet are meant for embedding java code. -Hence a very simple but logical point to remember for scriplet is that Scriplet NEVER CAUSE TRANSITION ERRORS. -Nothing but pure java code goes in the dotted area. -Any data declared become local to service(). Hi Tom! How are you ? -There may arise a case when a programmer requires to use his own method. -But till yet, we have seen that whatever we write goes in servlet method (service ()). -As JSP Declaration doesn't provide any output they are used in conjuction with JSP Expression and JSP Scriplets. -Method returning some values are allowed in JSP Declaration. -JSP expression automatically print out whatever is being sent between the tags. -Expressions are evaluated and output is sent to the browser. -Expressions are later resolved and consumed by HTML itself. NO semi-colon at the end. Hence,No semi-colon(;) at the end of Expression. <Hello User!! !Welcome to the world of  JSP !! -include directive are given after <html> and before </html>. -It makes the static inclusion of .html/.jsp file. -These files are include during translation. -Include .html/.jsp file should not contain <html> and </html>. -This tag is always given above tag. -By default java is used. -It is used for future consideration, where JSP might support language other than java. -import package required by this JSP page. -This is the only attribute which can be repeated more than once. iii) buffer-JSP does not uses PrintWriter, but uses JSPWriter. -Buffer can be "none","8 kb","12 kb" as per requirement. iv) autoflush-Defines whether the buffered output is flushed automatically. -If false is passed, an IOException is generated. v)isErrorPage -Defines whether current page represent JSP error page. -Default value is "false",but if it's change to true,page has access to implicit exception object. vi) errorPage-Defines the URL to which Exception should be sent. -The target JSP's isErrorPage value should be true. vii) session-Defines whether page will have implicit session object. viii) isThreadSafe-Defines whether the generated servlet need to implement the SingleThreadModel. - This method is invoked when JspPage is intialised. - This method is called once in the life-time of JSP Page. - To put Jsp in service, jspInit() must get completed successfully. - The _jspService() corresponds to the body of JSP page. - This method is defined automatically by the Container & this should not be defined by JSP page author. - This method is called many a times in its life cycle . - This method is invoked when Jsp Page is about to be destroyed. - Comments can be used in JSP. - Two different types of comments are allowed in JSP. JSP ARCHITECTURE - Whenever a request arises for .jsp file. i) Translate .jsp file into a .java file. 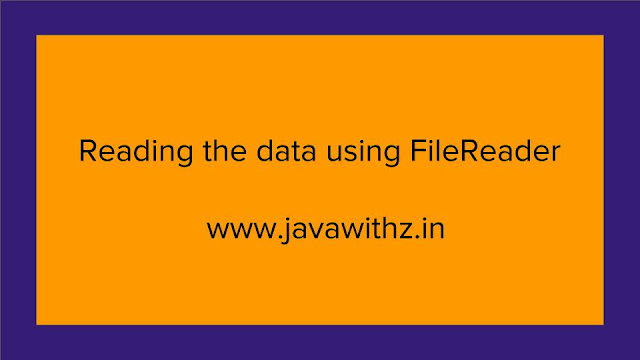 ii) Compiles the file into a servlet file. iii) Load the servlet class. iv) Instantiate it using default constructor. a) jspInit() does not throw any exception. b) jspInit() returns in stipulated time. vi) Put the servlet in service. vii) Creates request & response object. viii) Starts the thread, invoke _jspService() & passes request & response object as arguments. ix) Retreive the request parameter, perform processing, send responses to the client using writer object. x) Close the writer object. xi) When Container shut downs jspDestroy() is invoked. - Servlet does not have any separation between dynamic & static contents. - JSP has a clean separation between dynamic & static content. - Servlet does not have support for implicit objects. - JSP supports implicit objects. - Servlet supports any protocol including Http. - JSP supports only Http protocol. - Servlets are pure java program stored with extension (.java). - Whenever any changes are made to (.jsp) file, JSP ENGINE Retranslates & recompiles, hence no redeployment. Servlet follows Component architecture, follows request response model. - All the code goes inside service() / doGet () / doPost(). - This makes Servlet monolithic in nature. - It is a tough job to write all the code in same method. - Hence there emerged a need for a clear separation between CONTENT GENERATION & CONTENT REPRESENTATION. - Using JSP Separation found was something like this. Java Server Pages- JSP stands for Java Server Pages. - JSP is a text document with any name which can contain 100% HTML tags & additional tags to embed java code. - It is a java technology which allows software developer to dynamically generate HTML, XML or other types of document in response to Web client request. - This document is stored in WEB-ROOT of a WEB-APPLICATION. - Whenever the request comes for any jsp for the first time, JSP ENGINE (which) is part of Container translates .jsp into a .java file. - Translated .java file is nothing but a 100% HttpServlet. - Whenever any changes are made in .jsp file. JSP ENGINE retranslates & Recompile it. - JSP technology is platform independent. Be accessed from any web-browser on any platform. - An explicit goal of Java Server Pages design is to enable the creation of high quality portable tools. - This save development time as well as gives cross-platform power & flexibility of Java programming. - JSP enables separation of dynamic contents from static contents that is inserted in static template. - This makes work easier & hence diminishes the dependency of WEB-DESIGNER over WEB-DEVELOPER & vice-versa. - JSP supports scripting elements as well as actions. - Scripting provides mechanism to glue-together functionalities.